Bacchylides (/bəˈkɪlɪˌdiːz/; Greek: Βακχυλίδης, Bakkhylídēs; c. 518 – c. 451 BC) was a Greek lyric poet. Later Greeks included him in the canonical list of nine lyric poets which included his uncle Simonides, the elegance and polished style of his lyrics have been noted in Bacchylidean scholarship since at least Longinus. Some scholars, however, have characterized these qualities as superficial charm, he has often been compared unfavourably with his contemporary, Pindar, as "a kind of Boccherini to Pindar's Haydn". However, the differences in their styles do not allow for easy comparison, and translator Robert Fagles has written that "to blame Bacchylides for not being Pindar is as childish a judgement as to condemn ... Marvel for missing the grandeur of Milton". His career coincided with the ascendency of dramatic styles of poetry, as embodied in the works of Aeschylus or Sophocles, and he is in fact considered one of the last poets of major significance within the more ancient tradition of purely lyric poetry. The most notable features of his lyrics are their clarity in expression and simplicity of thought, making them an ideal introduction to the study of Greek lyric poetry in general and to Pindar's verse in particular. Bacchylides' lyrics do not seem to have been popular in his own lifetime. Lyrics by his uncle, Simonides, and his rival, Pindar, were known in Athens and were sung at parties, they were parodied by Aristophanes and quoted by Plato, but no trace of Bacchylides' work can be found until the Hellenistic age, when Callimachus began writing some commentaries on them. 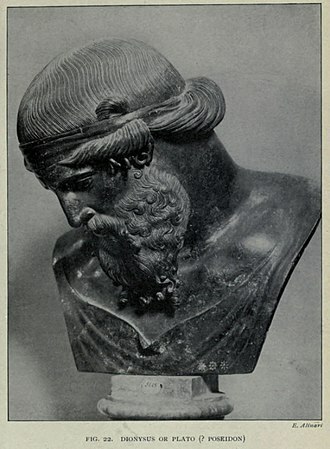 Like Simonides and Pindar, however, Bacchylides composed lyrics to appeal to the sophisticated tastes of a social elite and his patrons, though relatively few in number, covered a wide geographical area around the Mediterranean, including for example Delos in the Aegean Sea, Thessaly to the north of mainland Greece and Sicily or Magna Graecia in the west. It has been inferred from the elegance and quiet charm of his lyrics that he only gradually acquired fame towards the end of his life. Bacchylides's career as a poet probably benefited from the high reputation of his uncle, Simonides, whose patrons, when Bacchylides was born, already included Hipparchus (son of Peisistratos), brother of Hippias the tyrant of Athens (527–14 BC) and cultural coordinator of the city at that time. Simonides later introduced his nephew to ruling families in Thessaly and to the Sicilian tyrant, Hieron of Syracuse, whose glittering court attracted artists of the calibre of Pindar and Aeschylus. Bacchylides's first notable success came sometime after 500 BC with commissions from Athens for the great Delian festival (Ode 17) and from Macedonia for a song to be sung at a symposium for the young prince, Alexander I (fr. 20B). Soon he was competing with Pindar for commissions from the leading families of Aegina and, in 476 BC, their rivalry seems to have reached the highest levels when Bacchylides composed an ode celebrating Hieron's first victory at the Olympian Games (Ode 5). 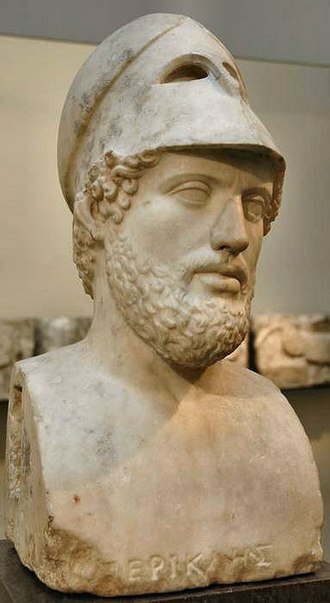 Pindar celebrated the same victory but used the occasion to advise the tyrant of the need for moderation in one's personal conduct (Pindar's Olympian Ode 1), whereas Bacchylides probably offered his own ode as a free sample of his skill in the hope of attracting future commissions. Bacchylides was commissioned by Hieron in 470 BC, this time to celebrate his triumph in the chariot race at the Pythian Games (Ode 4). 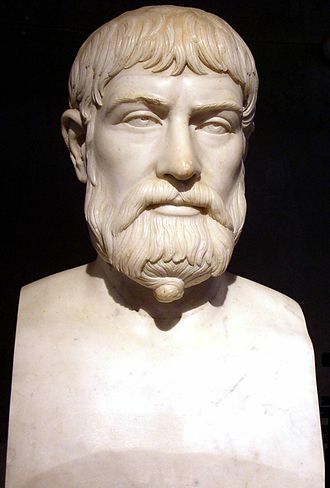 Pindar also composed a celebratory ode for this victory (Pindar's Pythian Ode 1), including however stern, moral advice for the tyrant to rule wisely. Pindar was not commissioned to celebrate Hieron's subsequent victory in the chariot race at the Olympic Games in 468 BC – this, the most prestigious of Hieron's victories, was however celebrated by Bacchylides (Ode 3), the tyrant's apparent preference for Bacchylides over Pindar on this occasion might have been partly due to the Cean poet's simpler language and not just to his less moralizing posture, and yet it is also possible that Bacchylides and his uncle were simply better suited to palace politics than was their more high-minded rival. 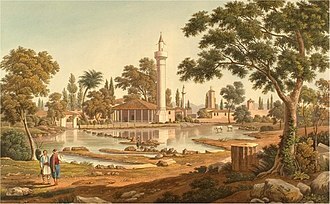 Alexandrian scholars in fact interpreted a number of passages in Pindar as hostile allusions to Bacchylides and Simonides and this interpretation has been endorsed by modern scholars also. Fortunately for Bacchylidean scholarship, a papyrus came to light in Egypt at the end of the 19th century with a text of Greek uncials, which a local claimed to have found in a ransacked tomb, between the feet of a mummy, it was snapped up for a "preposterous" price by the great Egyptologist Wallis Budge, of the British Museum. 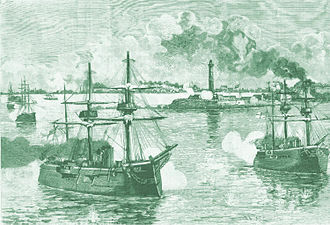 Budge's plan to return to the museum with the papyrus was unacceptable to the British Consul and to the Egyptian Service of Antiquities so he resorted to desperate measures; in an elaborate plan involving a crate of oranges, switched trains and covert embarkations, he eventually sailed from the Suez with the papyrus dismembered and disguised as a packet of photographs. He presented his find in 1896 to Frederic Kenyon in the British Museum's Department of Manuscripts. Kenyon reassembled 1382 lines, of which 1070 were perfect or easily restored and, the following year, he published an edition of twenty poems, six of them nearly complete, some more pieces of the Egyptian fragments were fitted together by Friedrich Blass in Germany and then followed the authoritative edition of Bacchylides' poetry by Richard Claverhouse Jebb[n 1] – a combination of scholars that inspired one academic to comment: "we almost had the Renaissance back again". As noted by Frederic Kenyon, the papyrus was originally a roll probably about seventeen feet long and about ten inches high, written in the Ptolemaic period, with some Roman characteristics that indicate a transition between styles, somewhere around 50 BC. It reached England in about two hundred torn fragments, the largest about twenty inches in length and containing four and a half columns of writing, the smallest being scraps with barely enough space for one or two letters, the beginning and end sections were missing and the damage done to the roll was not entirely the result of its recent discovery. Kenyon gradually pieced the fragments together, making three independent sections: the first, nine feet long with twenty-two columns of writing; the next section, a little over two feet long with six columns; the third, three and a half feet long with ten columns – a total length of almost fifteen feet and thirty-nine columns, in which form the papyrus remains in the British Library. Friedrich Blass later pieced together some of the still detached fragments and concluded that two of the poems on the restored roll (Odes vi. and vii., as numbered by Kenyon in the editio princeps) must be parts of a single ode (for Lachon of Ceos) – hence even today the poems can be found numbered differently, with Jebb for example one of those following Blass's lead and numbering the poems differently from Kenyon from poem 8 onwards (Kenyon 9 = Jebb 8 and so on). Much of Bacchylides's poetry was commissioned by proud and ambitious aristocrats, a dominant force in Greek political and cultural life in the 6th and early part of the 5th centuries, yet such patrons were gradually losing influence in an increasingly democratic Greek world, the kind of lofty and stately poetry that celebrated the achievements of these archaic aristocrats was within the reach of 'The Cean nightingale', yet he seems to have been more at home in verses of a humbler and lighter strain, even venturing on folksiness and humour. Lyric poetry was still a vigorous art-form and its genres were already fully developed when Bacchylides started out on his career, from the time of the Peloponnesian War, around the end of his life, the art-form was in decline, as exemplified by the inferior dithyrambs of Philoxenos of Cythera. Meanwhile, tragedy, as developed by Athenian dramatists of the calibre of Aeschylus and Sophocles, had begun to emerge as the leading poetic genre, borrowing the literary dialect, the metres and poetic devices of lyric poetry in general and the dithyramb in particular (Aristotle Poetics IV 1449a). The debt however was mutual and Bacchylides borrowed from tragedy for some of his effects – thus Ode 16, with its myth of Deianeira, seems to assume audience knowledge of Sophocles's play, Women of Trachis, and Ode 18 echoes three plays – Aeschylus's Persians and Suppliants and Sophocles's Oedipus Rex. His vocabulary shows the influence of Aeschylus with several words being common to both poets and found nowhere else, the use of gripping and exciting narrative and the immediacy gained from the frequent use of direct speech are thought to be among Bacchylides's best qualities, influencing later poets such as Horace (who imitated him, according to Pomponius Porphyrion, in Carmen I. 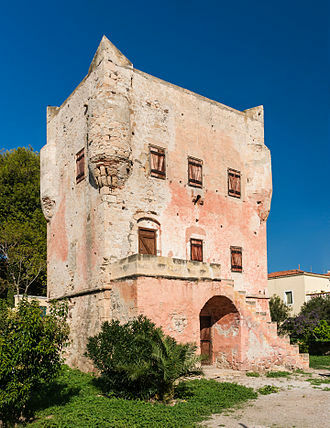 15, where Nereus predicts the destruction of Troy). These narrative qualities were modelled largely on the work of Stesichorus, whose lyrical treatment of heroic myth influenced, for instance, Ode 5. Whereas however Stesichorus developed graphic images in his poetry that subsequently became established in vase painting, Bacchylides merely employed images already current in his own day. Simonides, the uncle of Bacchylides, was another strong influence on his poetry, as for example in his metrical range, mostly dactylo-epitrite in form, with some Aeolic rhythms and a few iambics. The surviving poems in fact are not metrically difficult, with the exception of two odes (Odes XV and XVI, Jebb), he shared Simonides's approach to vocabulary, employing a very mild form of the traditional, literary Doric dialect, with some Aeolic words and some traditional epithets borrowed from epic. 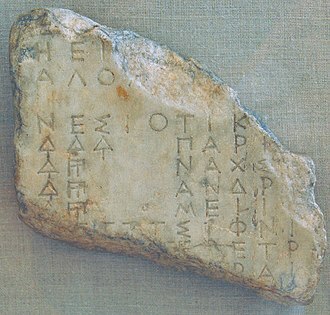 Like Simonides, he followed the lyric tradition of coining compound adjectives – a tradition in which the poet was expected to be both innovative and tasteful – but the results are thought by some modern scholars to be uneven. 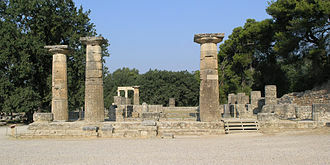 Many of his epithets however serve a thematic and not just a decorative function, as for instance in Ode 3, where the "bronze-walled court" and "well-built halls" of Croesus (Ode 3.30–31 and 3.46) contrast architecturally with the "wooden house" of his funeral pyre (Ode 3.49), in an effect that aims at pathos and which underscores the moral of the ode. Bacchylides has often been compared unflatteringly with Pindar, as for example by the French critic, Henri Weil: "There is no doubt that he fails of the elevation, and also of the depth, of Pindar, the soaring wing was refused him, and he should never have compared himself, as he does somewhere, to an eagle." Bacchylides however might be better understood as an heir to Stesichorus, being more concerned with story-telling per se, than as a rival of Pindar, but irrespective of any scruples about his treatment of myth, Bacchylides is thought to demonstrate in Ode 5 some of his finest work and the description of the eagle's flight, near the beginning of the poem, has been called by one modern scholar "the most impressive passage in his extant poetry." Bacchylides's image of the poet as an eagle winging across the sea was not original – Pindar had already used it earlier (Nemean Odes 5.20–21). In fact, in the same year that both poets celebrated Pherenicus's Olympic victory, Pindar also composed an ode for Theron of Acragas (Olympian 2), in which he likens himself to an eagle confronted with chattering ravens – possibly a reference to Bacchylides and his uncle. It is possible in that case that Bacchylides's image of himself as an eagle in Ode 5 was a retort to Pindar. Moreover, Bacchylides's line "So now for me too countless paths extend in all directions" has a close resemblance to lines in one of Pindar's Isthmian Odes (1.1–2), "A thousand ways ... open on every side widespread before me" but, as the date of Pindar's Isthmian Ode is uncertain, it is not clear in this case who was imitating whom. According to Kenyon, Pindar's idiosyncratic genius entitles him to the benefit of a doubt in all such cases: "... if there be actual imitation at all, it is fairly safe to conclude that it is on the part of Bacchylides." In fact one modern scholar has observed in Bacchylides a general tendency towards imitation, sometimes approaching the level of quotation: in this case, the eagle simile in Ode 5 may be thought to imitate a passage in the Homeric Hymn to Demeter (375–83), and the countless leaves fluttering in the wind on "the gleaming headlands of Ida", mentioned later in the ode, recall a passage in Iliad (6.146–9). A tendency to imitate other poets is not peculiar to Bacchylides, however – it was common in ancient poetry, as for example in a poem by Alcaeus (fragment 347), which virtually quotes a passage from Hesiod (Works and Days 582–8). 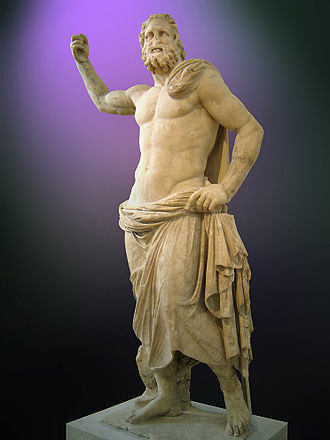 Ode 13 of the Bacchylides is a Nemean ode performed to honor the athlete Pytheas of Aegina for winning the pancration event of the Nemean games. Bacchylides begins his ode with the tale of Heracles fighting the Nemean lion, employing the battle to explain why pancration tournaments are now held during the Nemean games. 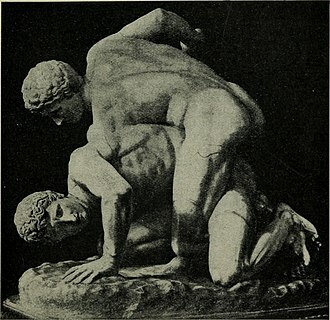 The allusion to Heracles’ fight with the lion is also meant to incite why it is that Pytheas fights for the wreaths of the games: to obtain the undying glory that the heroes of old now possess for their deeds. 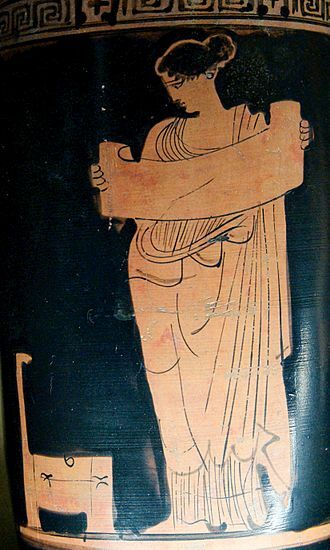 Bacchylides then sings the praises of Pytheas' home, the island Aegina, and how "her fame excites a dancer’s praise." Bacchylides continues this dancer allusion in praise of Aegina, and ends it by listing some famous men who were born on the island, namely Peleus and Telamon. 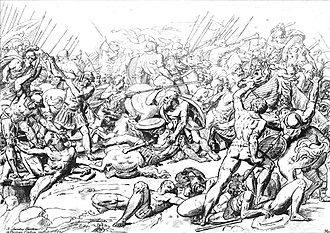 Bacchylides then tells of the greatness of these men’s sons, Achilles and Ajax, alluding to a second myth, the tale of Ajax repelling Hector on the beaches of Troy, keeping the Trojans from burning the Greek ships. Bacchylides relates how Achilles’ inaction spurred the Trojans to false hope, and how their swollen pride led them to be destroyed at the hands of the men they thought they had vanquished, the ode plays upon the fact that those who are listening to Bacchylides have also read the epics of Homer, and understand the whole story behind this scene that would speak poorly of Achilles if people did not know the role he played in the Trojan war. With this tale complete Bacchylides proclaims once again that the actions he has just told will be forever remembered thanks to the muses, leading once again into his praise of Pytheas and his trainer Menander, who shall be remembered for their great victories in the Pan-Hellenic games, even if an envious rival slights them. The Sons of Antenor, or Helen Demanded Back, is the first of Bacchylides’s dithyrambs in the text restored in 1896. The opening is incomplete, as part of the papyrus was damaged. The dithyramb treats a moment in myth before the Trojan war, when Menelaus, Antenor, and Antenor’s sons go to King Priam to demand the return of Helen. As is often the case with ancient Greek literature, Bacchylides plays of the audience’s knowledge of Homer without repeating a scene told by Homer. 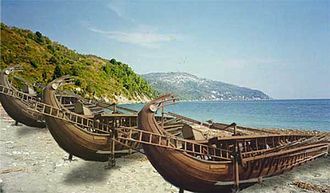 He instead describes a scene which is new to the audience, but which is given context by knowledge of the Iliad and Odyssey, the story of this embassy was known to Homer, who merely alludes to it at Iliad 3.205ff., but it was fully related in the cyclic epic poem Cypria, according to the Chrestomathy of Proclus. ^ Jebb was also responsible for the expansion of Bacchylides's article for the 1911 Encyclopædia Britannica. 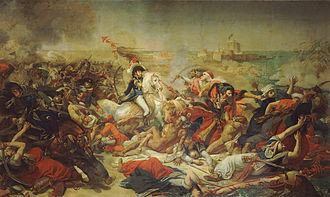 ^ A better example of his descriptive reporting of a victory can be found in fr. 10, honouring a runner who won two events at the Isthmian games: "For when he had come to a halt at the finishing line of the sprint, panting out a hot storm of breath, and again when he had wet with his oil the cloaks of the spectators as he tumbled into the packed crowd after rounding the course with its four turns, the spokesmen of the wise judges twice proclaimed him Isthmian victor..."
^ Robert Wind (1972). "Myth and History in Bacchylides Ode 18". Hermes. 100 (4): 511–523. JSTOR 4475767. ^ Fagles 1961, p. [page needed] quoted by Slavitt 1998, p. 1. ^ Schmidt 1987, pp. 20–23. ^ Claudius Aelianus Varia historia iv.15. ^ Kenyon (1897): Introduction: xiv. ^ Bergk 1853, (in Latin) & (in Greek). ^ Neue 1823, (in Latin) & (in Greek). ^ Louis Bevier (1924). "Bacchylides XVI (XVII)". The Classical Weekly. 17 (13): 99–101. doi:10.2307/30107807. JSTOR 30107807. ^ a b c Frederic G. Kenyon, The Poems of Bacchylides; from a Papyrus in the British Museum, Longmans and Co. (1897), Introduction: ix. ^ Jebb 1911, p. 123. ^ Bacchylides. "Ode 13". Translated by David R. Slavitt. Philadelphia: University of Penn Press, n.d.
^ “Bacchylides.” The 1911 Classic Encyclopedia. 6 Oct 2006, accessed 12 March 2012. ^ Fagles 1961, p. [page needed]. Burnett, Anne Pippin. 1985. The Art of Bacchylides. Martin Classical Lectures 29. Cambridge, MA: Harvard Univ. Press. Calame, Claude. 2011. "Enunciative Fiction and Poetic Performance: Choral Voices in Bacchylides’ Epinicians." In Archaic and Classical Choral Song: Performance, Politics and Dissemination. Edited by L. Athanassaki and E. Bowie, 115–138. Berlin: De Gruyter. Calame, Claude. 2009. "Gender and Heroic Identity between Legend and Cult: The Political Creation of Theseus by Bacchylides." In Poetic and Performative Memory in Ancient Greece: Heroic Reference and Ritual Gestures in Time and Space. By Claude Calame, 105–148. Washington, DC: Center for Hellenic Studies. D’Alessio, Giambattista. 2013. "The Name of the Dithyramb: Diachronic and Diatopic Variations." 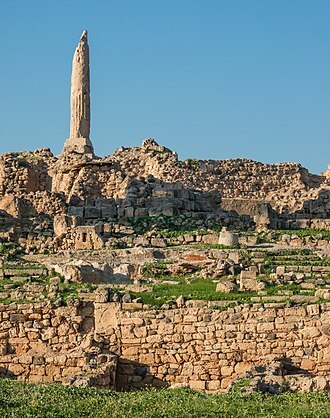 In Dithyramb in Context. Edited by Barbara Kowalzig and Peter Wilson, 113–132. Oxford: Oxford Univ. Press. Fearn, David. 2007. Bacchylides: Politics, Performance, Poetic Tradition. Oxford: Oxford Univ. Press. Goldhill, Simon. 1983. "Narrative Structure in Bacchylides 5." 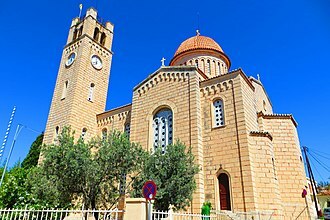 Eranos 81: 65–81. Hadjimichael, Theodora A. 2015. Sports-Writing: Bacchylides’s Athletic Descriptions. Mnemosyne. 68.3: 363-392. Kyriakou, Poulheria. 2001. "Poet, Victor, and Justice in Bacchylides." Philologus 145.1: 16-33. McDevitt, Arthur. 2009. Bacchylides: The Victory Poems. London: Bristol. Nagy, Gregory. 2000. "Reading Greek Poetry Aloud: Reconstruction from the Bacchylides Papyri." Quaderni urbinati di cultural classica, new series 64.1: 7–28. Segal, Charles. 1997. Aglaia: The Poetry of Alcman, Sappho, Pindar, Bacchylides, and Corinna. Lanham: Rowman & Littlefield. Segal, Charles. 1976. "Bacchylides Reconsidered: The Epithets and the Dynamics of Lyric Narrative." Quaderni urbinati di cultura classica 22:99–130. Andrew Marvell was an English metaphysical poet and politician who sat in the House of Commons at various times between 1659 and 1678. During the Commonwealth period he was a colleague and friend of John Milton, Marvell was born in Winestead-in-Holderness, East Riding of Yorkshire, near the city of Kingston upon Hull, the son of a Church of England clergyman named Andrew Marvell. The family moved to Hull when his father was appointed Lecturer at Holy Trinity Church there, a secondary school in the city, the Andrew Marvell Business and Enterprise College, is now named after him. At the age of 13, Marvell attended Trinity College, Cambridge, a portrait of Marvell attributed to Godfrey Kneller hangs in Trinity Colleges collection. Afterwards, from the middle of 1642 onwards, Marvell probably travelled in continental Europe and he may well have served as a tutor for an aristocrat on the Grand Tour, but the facts are not clear on this point. While England was embroiled in the war, Marvell seems to have remained on the continent until 1647. In Rome in 1645 he probably met the Villiers brothers, Lord Francis and it is not known exactly where his travels took him except that Milton reported that Marvell had mastered four languages, including French and Spanish. He only belatedly became sympathetic to the successive regimes during the Interregnum after Charles Is execution on 30 January 1649 and his Horatian Ode, a political poem dated to early 1650, responds with lament to the regicide even as it praises Oliver Cromwells return from Ireland. Circa 1650–52, Marvell served as tutor to the daughter of the Lord General Thomas Fairfax and he lived during that time at Nun Appleton Hall, near York, where he continued to write poetry. One poem, Upon Appleton House, To My Lord Fairfax, uses a description of the estate as a way of exploring Fairfaxs and Marvells own situation in a time of war, probably the best-known poem he wrote at this time is To His Coy Mistress. He became a tutor to Cromwell’s ward, William Dutton, in 1653, Oxenbridge had made two trips to Bermuda, and it is thought that this inspired Marvell to write his poem Bermudas. 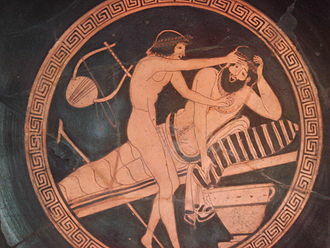 In ancient Greece, the symposium was a drinking party. 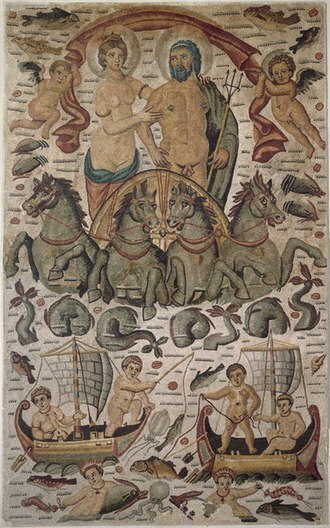 Symposia are depicted in Greek and Etruscan art that shows similar scenes, the equivalent in Roman society is the Latin convivium. In modern usage it has come to mean an academic conference or meeting such as a scientific conference, the Greek symposium was a key Hellenic social institution. It was a forum for men of respected families to debate, plot and they were frequently held to celebrate the introduction of young men into aristocratic society. Symposia were held by aristocrats to celebrate special occasions. They were a source of pride for them, symposia were usually held in the andrōn, the mens quarters of the household. The participants, or symposiasts, would recline on pillowed couches arrayed against the three walls of the room away from the door, due to space limitations the couches would number between seven and nine, limiting the total number of participants to somewhere between fourteen and twenty seven. 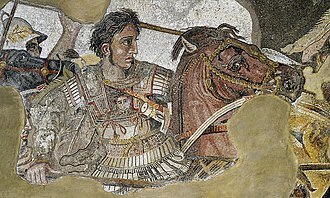 If any young men took part they did not recline but sat up, however, in Macedonian symposia the focus was not only on drinking but hunting, and young men were allowed to recline only after they had killed their first wild boar. 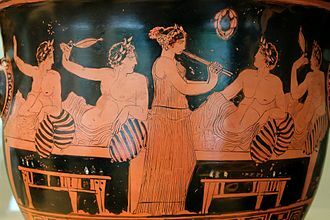 Entertainment was provided, and depending on the occasion could include games, flute-girls or boys, slaves performing various acts, symposia often were held for specific occasions. 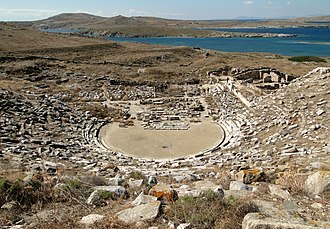 The most famous symposium of all, described in Platos dialogue of that name was hosted by the poet Agathon on the occasion of his first victory at the theater contest of the 416 BC Dionysia. The men at the symposium would discuss a multitude of philosophical, such as love. A symposium would be overseen by a symposiarch who would decide how strong the wine for the evening would be, the Greeks and Romans customarily served their wine mixed with water, as the drinking of pure wine was considered a habit of uncivilized peoples. However, there were differences between the Roman and Greek symposiums. A Roman symposium served wine before and after food, in a Greek symposium, wine was only drunk after dinner, and women were not allowed to attend. 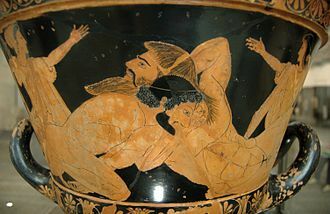 The wine was drawn from a krater, a large jar designed to be carried by two men, and served from pitchers. 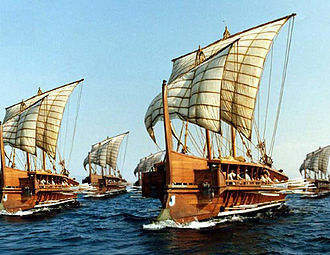 The Pythian Games were one of the four Panhellenic Games of Ancient Greece. They were held in honour of Apollo every four years at his sanctuary at Delphi and they were held two years after each Olympic Games, and between each Nemean and Isthmian Games. 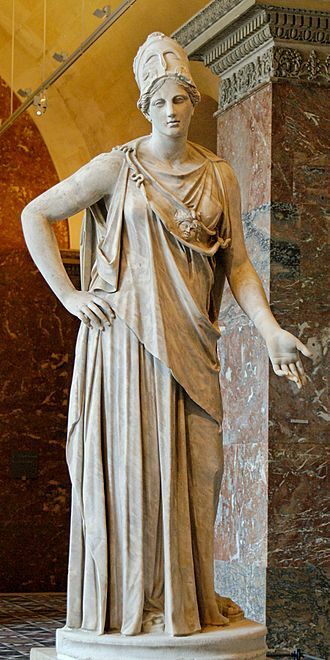 The Pythian Games were founded sometime in the 6th century BC, the art and dance competitions pre-dated the athletic portion of the games, and were said to have been started by Apollo after he killed Python and set up the oracle at Delphi. Otherwise, the events were the same as those at the Olympic Games. The winners received a wreath of bay laurel, sacred to Apollo, from the city of Tempe, smaller versions of the Pythian Games were celebrated in many other cities of the Levant and Greece. The Pythian Games supposedly start with the serpent, Python. It had been sent to chase the pregnant goddess Leto by a jealous Hera, Leto managed to escape and gave birth to Artemis and Apollo. Despite being only a few old, Apollo swore vengeance on Python. Meanwhile, Python had fled to Delphi and hidden himself there, Apollo followed him and, after a fierce battle, slew the monster with his bow. After burying the body, Apollo founded the oracle of Delphi, however, by slaying Python, Apollo had committed a crime and Zeus declared that he had to make amends. Apollo created the Pythian Games to pay for the death, according to another version, Apollo exiled himself in the land of the Hyperboreans and founded the Pythian Games upon his return, as a sign of celebration. As of that time, they did not take place eight years as in the past. In the beginning, only musical contests were held in the Pythian Games extended by singing to instrumental performances and these retained great importance as in the other big festivals, although with the new rearrangement gymnastic competitions and chariot racing were introduced to the games. Preparations for the games began six months prior, if a city was involved in armed conflict or in robberies during that period, its citizens were forbidden to enter the Sanctuary, participate at the games, or consult the Oracle. Scores of people flocked out of entire Greece, bringing in revenue to the city.